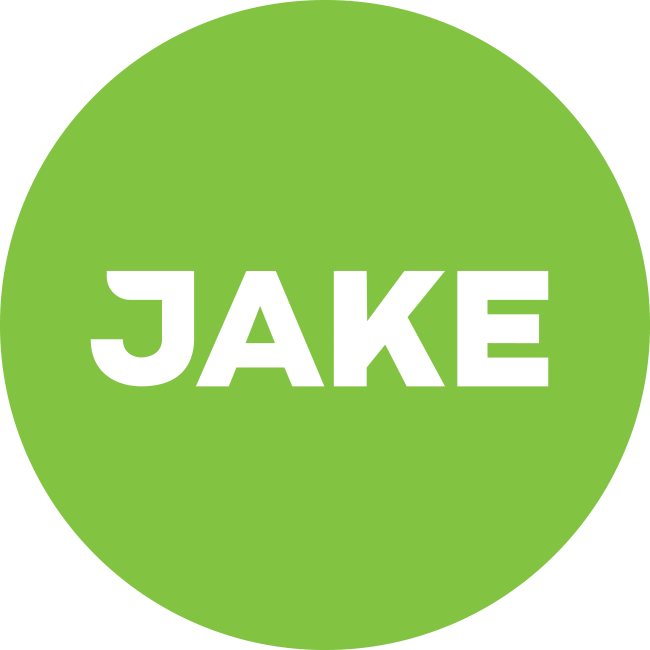 I bought Jake because I'm generally very Lazy when it comes to food, so I wanted something that was fast and easy to make. My plan is not to go on a diet to loose weight (but is defenetly welcomed as an side-effect), and I'm not replacing ordinary food by Jake. Just gonna use it when I'm lazy, which is mostly lunch time on work days. When I first got Jake I wasted not a second before trying it, the first thing I noticed was how hard it is to NOT spill some of the powder! I really like how convenient they've made it, with 1 pouch per meal, it's funny tho how 450ml is not marked on the bottle, since it says on the handbook to use 450ml of water, I also noticed something that somebody here on the forum mentioned, the lid feels kinda loose, haven't dared to try how loose it actually is tho. First taste of Jake was really werid... I didn't really like it, didn't hate it either.. it was just weird. I felt really stuffed after just half a shake, but I've not been eating very good the past week(s). The taste is very oaty, and for me very sweet aswell, it's like they've taken a very fine grinded oatmeal and mixed it with sweet vanilla powder, it's also very smooth to drink. The next day when taking Jake for lunch I got a terrifying feeling, it felt like I was about to get this huge allergic reaction, I got really paranoid and started to think stuffs like "I bought some random meal powder on the internet, I really hope I don't suffocate or die..!". I tried it again the day after and the SAME thing happened AGAIN! The feeling was a very dry feeling in my throat that lasted for about 5 hours. Since my friend didn't feel like this I was really confused and made a thread here about it, but I actually solved the issue! The next day I drank about 1 to 1½ liter of water during the time I drank jake, and afterwards. The result was that I didn't feel super dry in my throat at all! And I've continued to drink that much when taking Jake, and I must say that I honestly feel very good, I don't have any headache (I got that too by the way, before drinking ALOT of water). One thing I've noticed tho is that I've had a tickling sensation in my fingertips after taking Jake, it last for maybe an hour. I don't know what it means. I think this was all! And thanks for making Jake! You could try to mix it with more water in advance, which might help to reduce the problems with your throat. A headache can start when you eat your Jake to fast. I think that happens, as does the tickling sensation in your fingers, simply because your body is absorbing too many nutrients in one go. At least, I've had a headache and tickling sensation one time after I downed a Jake Sports in like 1 minute, which is why I've thought about this theory. Got nothing to back it up though. Please post your blood tests, that would be really interesting. Hm.. more water almost seems impossible, because there are almost no room left feels like it's easier to just have a glass of water on the side I haven't given the tickling sensation in my fingertips much thought, but you might be right! But if I drink 500ml water on the side, that is not enough for my body. Haha no, you should drink about enough to have clear pee, without having to go all the time.